The best posts about architecture and architecture photography will be included in this section. Introducing the tiny Islamic sultanate of Brunei, located in Borneo, between Sabah and Sarawak (Malaysia), and is one of the smallest countries in the world. Brunei architecture was stunning! 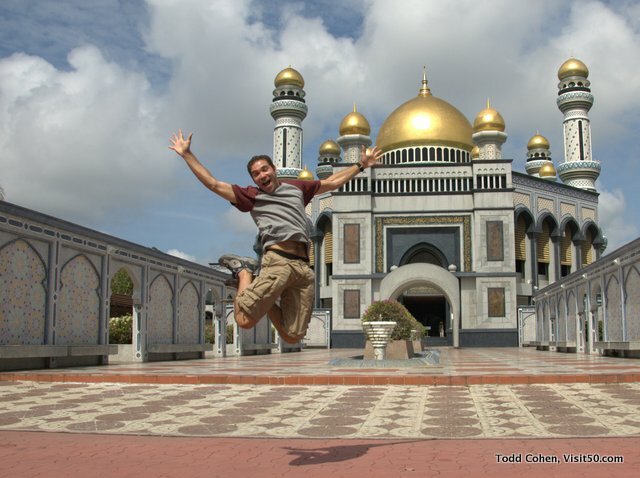 My trip through Brunei began in the capital, Bandar Seri Begawan (BSB), where there’s impressive mosques. We also strolled through Kampung Ayer, a entire village on stilts. 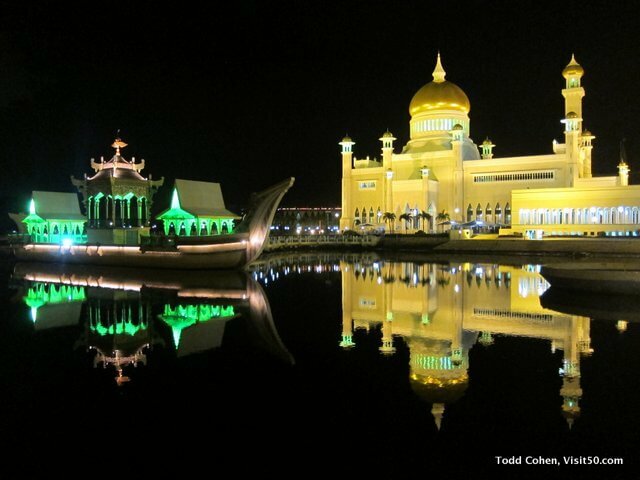 Above is my photo of the Sultan Omar Ali Saifuddien Mosque, with its gleaming gold dome. 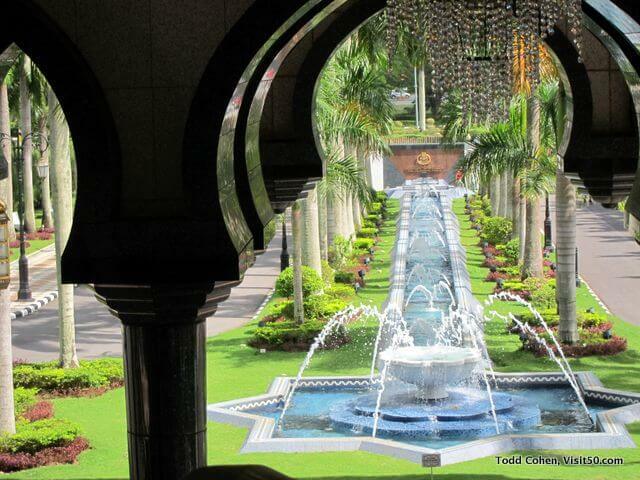 Brunei is about the size of Delaware, with a population of 415,000, and the government provides free education, health care, pensions and low-interest loans for the purchase of homes and cars. The Brunei sultanate become the richest man in the world in 1984, at $40 Billion, and reportedly now has $20 Billion. Kuching might have been my favorite city in Malaysia, and served as my home base for the Sarawak region of Malaysian Borneo (west of Brunei, population 600,000). It’s perhaps the most multi-cultural city in Borneo. While cities aren’t generally a big highlight for me, after such limited selection in little towns and rest stops in my transportation, I was excited to get to Borneo’s culinary capital. Kuching also served as an excellent jumping off point for my days in Sarawak, which feature Semenggoh Wildlife Rehab Centre and Bako National Park.